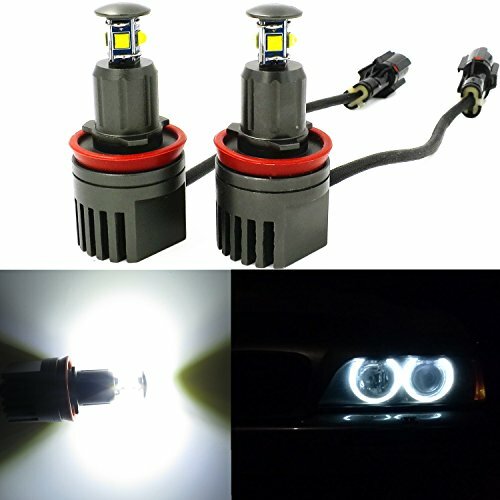 This listing features one pair (2 pieces) led genuine H8 genuine cree angel eyes. 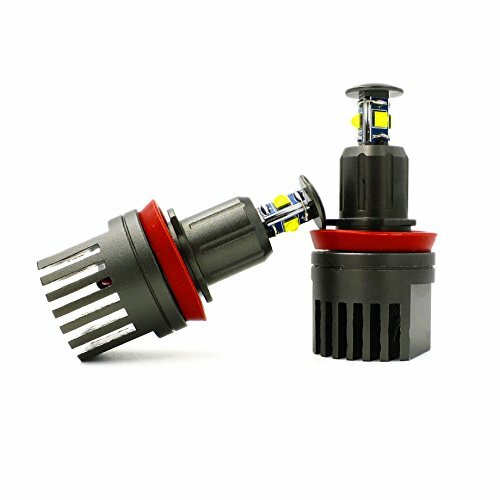 This amazing bright genunie cree led bulb replaces the traditional yellow light bulb with a white and sharp LED light to beautify the vehicle’s appearance for much more luxury good looking. 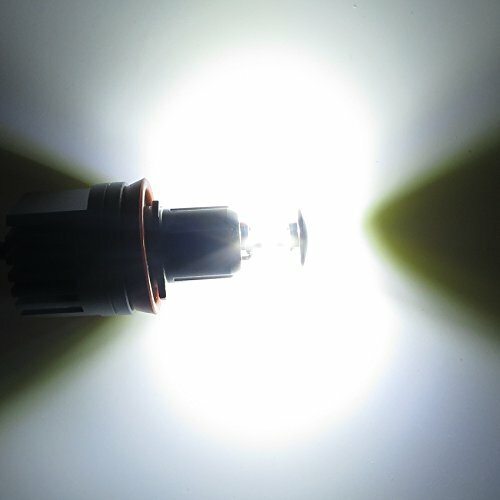 It makes the Car headlights brighter and wider than a standard headlight bulb. 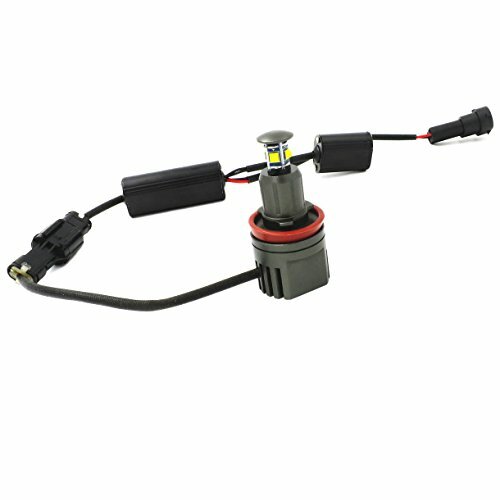 The LED Marker Angel Eyes are 100% plug and play with no error codes, so you can also revert back to stock at anytime. 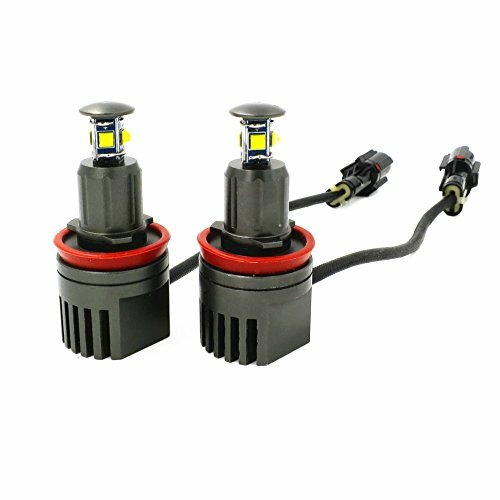 — Pair of High power LED halo angel eyes light bulb,5W each LED bulb 6000K xenon HID white color. — with aluminum body for fast heat releasing/preventing overheat,OBC Error Free. 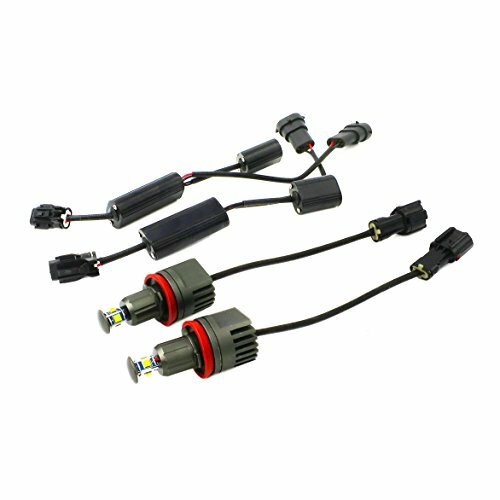 — Specially designed for BMW with No Warning Errors code, bulb-out warning message; No computer reprogramming needed. 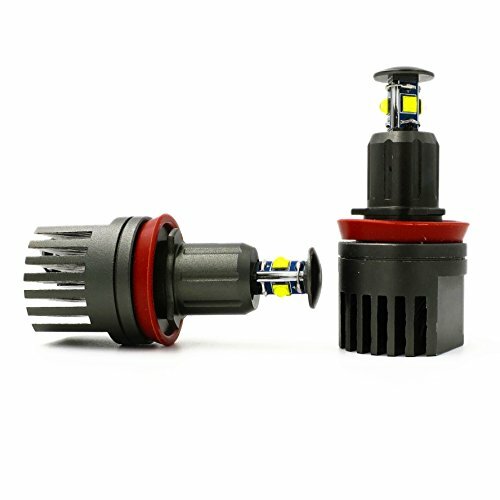 — Upgrade your BMW yellowish Angel Eyes light bulb with this bright xenon white High Power bulb; to match with the Xenon headlights. — Easy installation, just directly plug and play. ” ONE YEAR ” warranty guaranteed for the manuafacturer defect. Original OEM Part Numbers: 63217760782 . Please check the stock angle eyes lamp’s bulb size is H8 before purchasing. Amazon fitment is not 100% guaranteed accuracy. 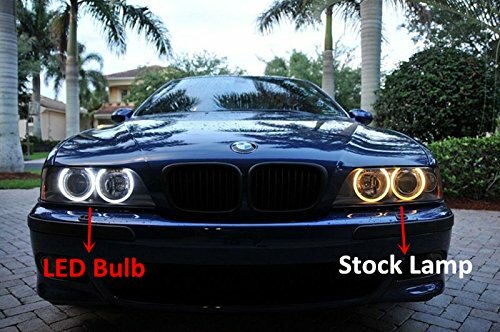 Pair of High power LED halo angel eyes light bulb,Each bulb includes 8 pieces 5W high power genuine CREE led chips; 6000K xenon HID white color to match the xenon headlight color: upgrading your BMW yellowish Angel Eyes light to xtremely super bright xenon white. With aluminum body for fast heat releasing/preventing overheat,OBC Error Free. Specially designed for BMW with No Warning Errors code, bulb-out warning message; No computer reprogramming needed. Easy installation, Direct replacement,Plug and Play, quick Instant Start-Up Time. ONE Year Warranty guaranteed for the manufacturer defect.